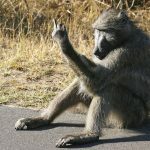 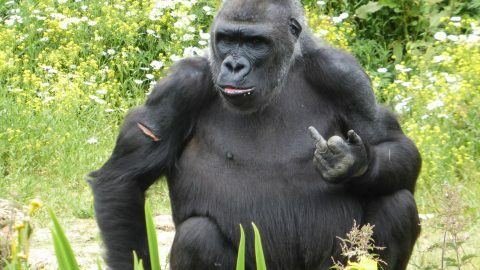 Pictured A tubby gorilla at Bristol Zoo holds it middle finger up at accountant Ben Collins. 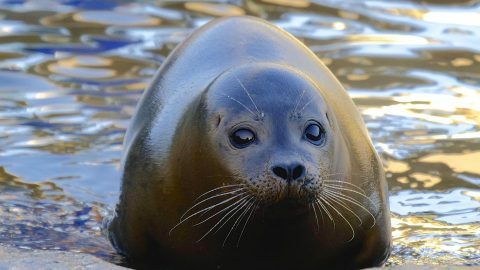 PICTURED: Mermaid the fat seal at Scarborough Sea Life Sanctuary. 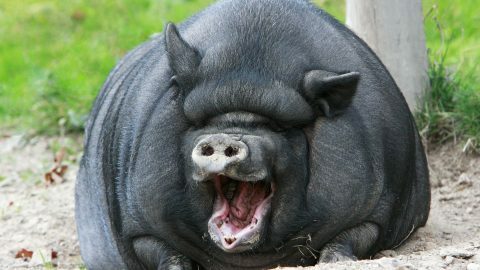 PICTURED: A Vietnamese Pot-bellied Pig laughing in Lower Saxony, Germany. 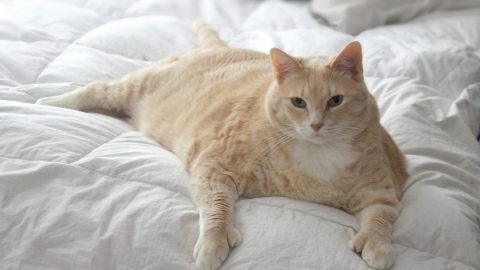 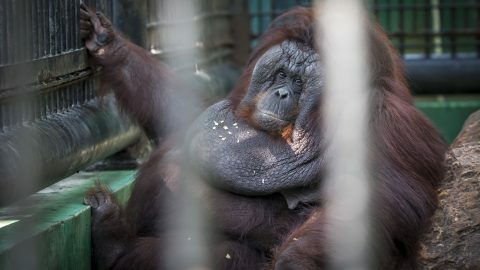 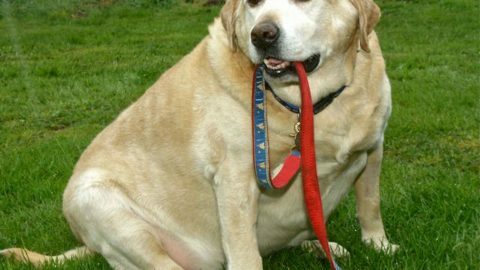 PICTURED An obese orangutan in Bangkok, Thailand.